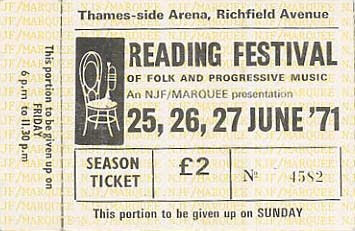 Ok, so that's a 1971 ticket... but weekend tickets for 2011 are still available, though Early Entry tickets and passes for the White car park are sold out. Weekend tickets are £187 including booking fee (that's a 9350% increase in 40 years! ), plus £5.20 postage. They are available from See Tickets (click to go there).